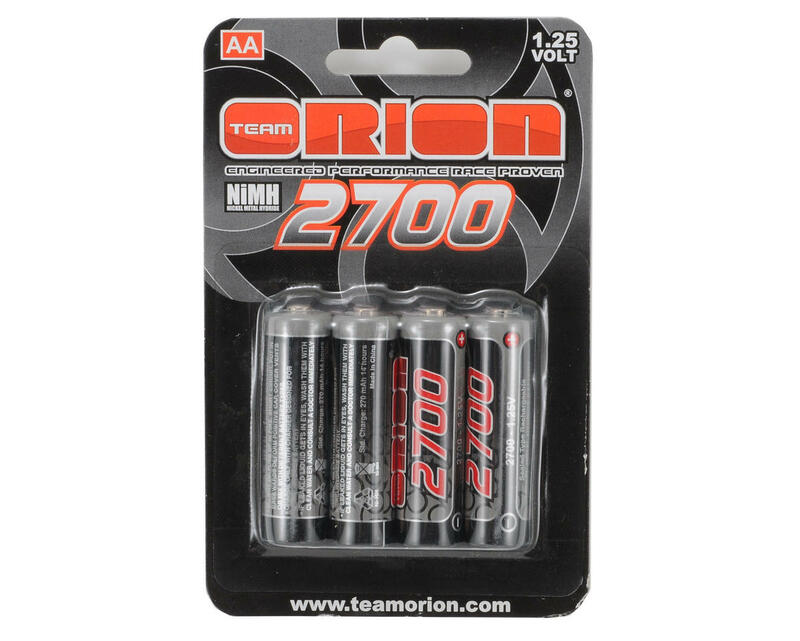 This is a set of four Team Orion 2700mAh NiMH, 1.2V Loose AA Batteries. Team Orion’s 2700 AA NiMH rechargeables provide the optimum power for your application whether that be your transmitter, bundled receiver pack, micro vehicle, or your portable entertainment. 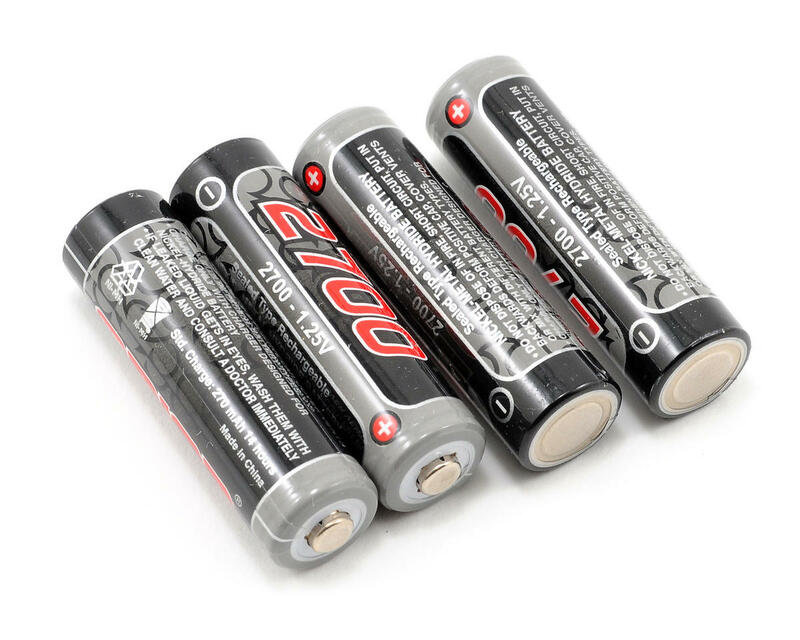 NiMH technology virtually eliminates cell memory and provides long life for any application requiring AA batteries.